Our Essential Latex toppers are hand made to order in Byron Bay. Production time is 5 working days. Whether you suffer from neck & back pain from sleeping on a firm, unforgiving mattress or simply wish to create a healthier sleeping surface for you or your children, the Essential Natural Latex Topper is your answer. Made from Certified 100% Natural Latex covered in organic cotton or bamboo blend cover, this mattress topper (overlay) will breathe new life into your existing mattress. Our Latex Mattress Toppers are an all-natural, chemical-free product that is sustainably sourced, long lasting, bio-degradable, healthy and locally made. Make a step in the right direction and let nature take care of the rest. A beautifully comfortable & practical solution. Suitable for all mattress types and available in all sizes. Custom sizing available on request. All Zentai Living latex mattresses toppers are made with 100% certified natural latex. They are naturally anti-bacterial, anti-fungal & dust mite resistant. This makes them perfect for asthmatics, allergy sufferers, those with chemical sensitivities and the health conscious. Pincore constructed Latex offers superior support for the body and is unsurpassed for its natural comfort and longevity. A soft density 5cm layer of all natural latex. Soft, cloud-like feel. Helps with contouring to your body and relieving pressure points. A medium density 5cm layer of all natural latex. Still softening but also provides support for your body. Provides pressure point relief and can help people with back problems. Zentai Living Latex mattresses are made from 100% pure natural rubber (ECO certified & LGA tested). We use only the highest quality pure natural latex. Absolutely no synthetic latex, fillers or extenders are used in the manufacture. 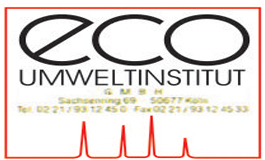 To ensure reliable and consistent quality we have our latex regularly tested and certified by the ECO-Umwelt Institut in Cologne Germany for over 250 substances. 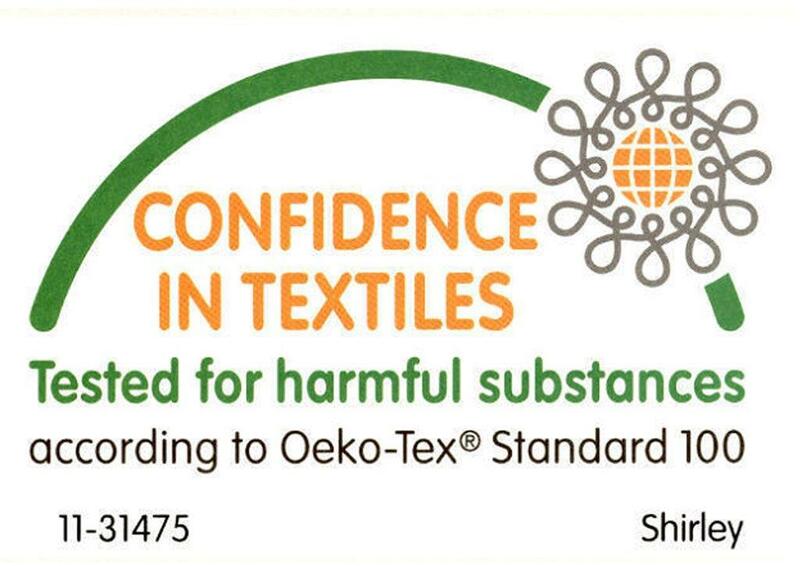 Continuous testing of quality and properties in accordance with International Standards ensures a safe product free of harmful toxins. All Zentai Living Essential Latex Mattress Toppers are covered by a 10 Year Manufacturer Guarantee. 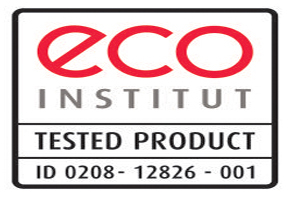 Zentai Living 100% Natural Latex products have secured the best test results in the industry from globally accepted testing bodies such as ECO Institute, LGA Quality Test Germany, Oeko-Tex Switzerland, ABC, STORK-USA and GOLS-Netherlands. Again, a quick and reliable delivery. The mattress topper is far better than I expected. Thank you! After using a hard matters for some years I found that it was causing me morning back and side pain. I tired the latex overlay and first impressions were that it was incredibly comfortable. It was not in the slightest warm or hot and it has really helped my back soreness. Most impressed indeed with a very good product, at the right price. Forgiving on my old bones!! Value for money!! Product is perfectly in line with expectation. I am not using it as mattress topper but to have a comfortable underlay to do my meditation, but also to just "lay on the floor" to read. I find this way more comfortable and flexible than on a sofa. The firm version is a fantastic bolstering base to do exactly what I want and feel comfortable. No ache even if I spend hours on the floor. Quality of workmanship also seems to be high standard! After investing many hrs researching foam toppers. I decided latex topper would be best for the warmer climate in WA Australia. There are many suppliers out there. The key concerns for me are with regards to fillers being added in the mix. This can effect both longivity and chemical fumes that can be released. I choose this brand over the other suppliers as Zentai Living addressed these concerns. There product has delivered in these areas. It has minimal fumes when opened which disapated rapidly and the quality is felt in the support it provides. Both my wife and I are getting a deeper sleep now. I no longer have any lower back ache. Very happy. Thanks Zentai Living for a quality latex topper. We purchased the latex topper to prolong the life of our mattress another year or 2 and it has been fantastic. Both my partner and I are waking up having had a much deeper, more restful sleep. The only adjustment we had to make was removing the extra bed spread to keep the temperature more comfortable as the latex moulds to your body shape thus covering more area of your body and being cosier. Seeing the additional comfort that the latex topper provides, we are now going to purchase another for the mattress at holiday house that is currently a little too firm for our liking.